The Tinton Falls Soccer Club Board has written a letter regarding the US Soccer Player Development Initiatives. The purpose of the letter is to inform all club members of the Implementation Plan established by the Tinton Falls Soccer Club. Please take a few minutes to read this letter as you will find it to be helpful during this transitional period. 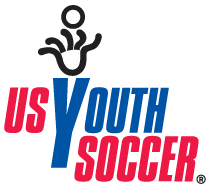 Also, please see the US Soccer Player Development Initiative and the NJYS Player Development Implementation Plan and FAQ's. These supporting documents will help you understand the rational behind the initiative established by US Soccer and the impact on the leagues in which we compete. Please take a few minutes to read the letter and supporting documents. Please direct any questions to your coaches and the TFSC Board.